Information systems comprising of multiple attribute values are known as set-valued information systems (SIS). 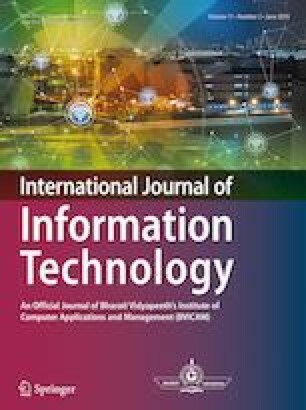 This paper proposes a novel fuzzy set-valued information system (FSIS) as a generalized model of SIS. SIS is known as FSIS if some of its set-values are fuzzy set-values. Existing fuzzy rough set (FRS) model for SIS does not fit a dataset well and can lead to samples misclassification since sometimes there exist a large overlap between samples, so a fitting FRS model is introduced for handling FSIS. Fuzzy similarity relations obtained from each fuzzy set-valued attribute are parameterized using two parameter values to characterize the fuzzy information granules and then based on it, fuzzy lower and upper approximations are reconstructed. This approach can fit FSIS well and prevent samples misclassification. Later, the relative reduct of FSIS is computed using greedy forward algorithm. The effectiveness of proposed FSIS using fitting FRS model approach is proved by conducting a comparative study of proposed FSIS with existing information systems.